This is a very pretty table. The legs are a classic design. Notice the softly curved elegance of this understated piece. You can store surprises or treasures in the 2 smart drawers accented with iron drawer pulls. 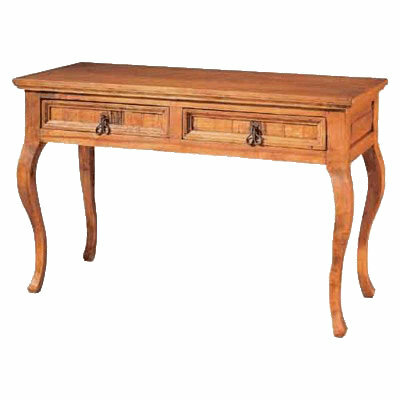 Display this table in your Mexico living room to add a special touch of rustic elegance. May be ordered in light, medium or dark stain to suit your decor.